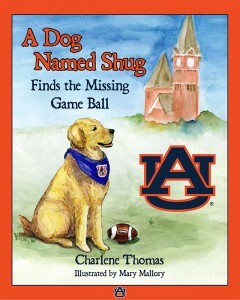 A Dog Named Shug Finds the Missing Game Ball By Charlene Thomas Can Shug, the Golden Retriever, save the day? Follow Shug as he searches the historic Auburn University campus and meets Aubie, the cheerleaders, the Auburn University Marching Band, and others along the way. Will the Tigers get to play? Alphabet Philosophy By Sem Lumbangaol Reading and writing are important parts of the learning system. 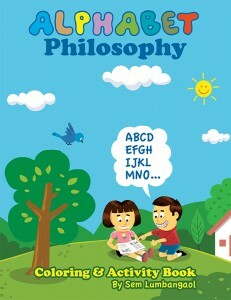 This Alphabet Philosophy coloring and activity book provides a good way of pursuing it. It also provides good lessons to help you understand the value of life. Breakfast By Anish Srinivasan Join the baby on breakfast adventure as she goes through her morning routine. 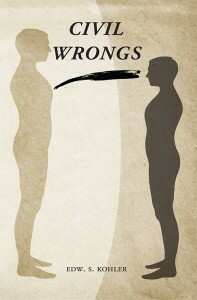 Civil Wrongs By Edw. S. Kohler No, the old rocking chair hasn’t got me. It just looks good with the Azaleas. Eighty-four and still at it, but not at all happy with this racial undercurrent. Will we ever learn that people are people and skin tone has nothing to do with it? Read on as I delve beneath the surface to the underground thinking that just may lead to a chance for a cure. If nothing else, please allow me to stir in the reasons that have caused us to fall in amongst these Civil Wrongs. Reasons go back to the Roman Empire with “Bread and Circuses”. 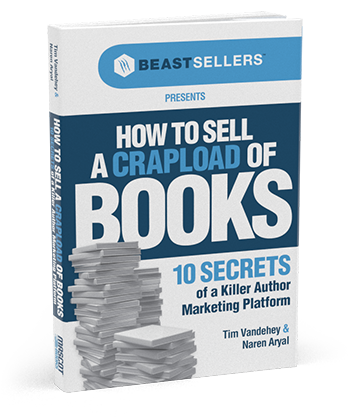 Stories abound with methods of keeping “lessors” in their place for no other purpose than to keep wealth in the hands of a few at the top. Please read this little book by an eighty-four-year-old of lesser status as he searches for ways to bring proper meaning to the great cause of Civil Rights. 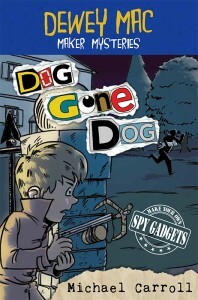 Dewey Mac Maker Mysteries: Dog Gone Dog By Michael Carroll On a crazy field trip, amateur detective Dewey “Mac” McClain discovers the mayor’s dog is missing. Dewey and best friend Ched (not Chad, as Dewey’s mom always says) start the Awesome Kid Agency (aka: AKA) and take the case. Can Dewey find the missing dog, thwart a kidnapping, and still finish his homework by Monday morning? Want some adventure in your life? After reading this tale you can make all of the spy gadgets that Dewey Mac makes. That’s right! All you will need are a few common and inexpensive items. 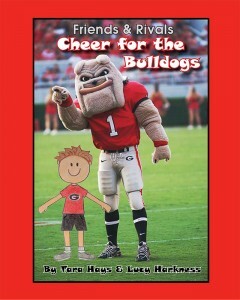 Friends & Rivals: Cheer for the Bulldogs By Tara Hays and Lucy Harkness Sammy and Kate are best friends. They do everything together. But there’s just one big problem… Kate cheers for the rival team. Enjoy the story of these best friends as they tour the University of Georgia campus to learn all about time-honored traditions and navigate the issue: Can rivals really be friends? 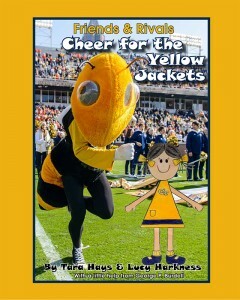 Friends & Rivals: Cheer for the Yellow Jackets By Tara Hays and Lucy Harkness Sammy and Kate are best friends. They do everything together. But there’s just one big problem… Sammy cheers for the rival team. Enjoy the story of these best friends as they tour the Georgia Tech campus to learn all about time-honored traditions and navigate the issue: Can rivals really be friends? 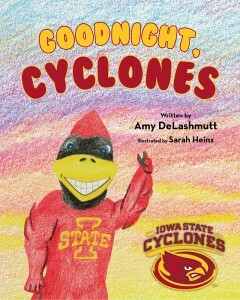 Goodnight, Cyclones By Amy DeLashmutt Join every Cyclone fan’s favorite mascot, Cy, as he strolls through campus wishing its many beautiful landmarks a good night. Located in Ames, Iowa, Iowa State University is nestled on more than 1,900 acres and is one of the most beautiful college campuses in the country. Howe Hall. The Campanile. Farm House Museum. The Memorial Union. These are just a few of the campus treasures you will uncover and discover in Goodnight, Cyclones. 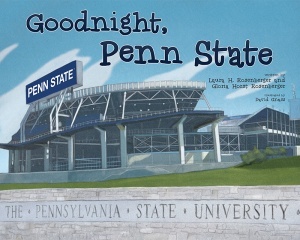 Goodnight, Penn State By Laura H. Rosenberger and Gloria Horst Rosenberger Goodnight Penn State is a whimsical journey through Penn State’s campus recalling the nostalgic ring of Old Main, the roar of the crowd on a football Saturday, and the countless events that define us Penn Staters. A must-have for the grandparent alums, current Nittany Lions, and your future graduates. Show your little lion the exhilaration of Penn State’s spirit and continue to be a part of one of the largest alumni populations in the world. 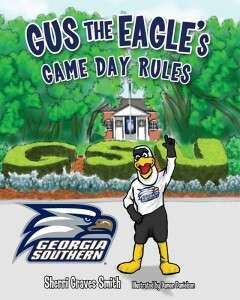 Gus the Eagle’s Game Day Rules By Sherri Graves Smith Come along with Gus the Eagle as he takes you through a game day filled with fun! Along the way, he will teach manners and good sportsmanship in the traditional Georgia Southern University way! 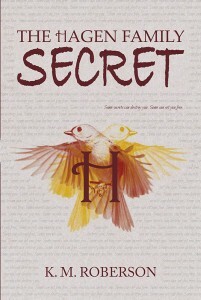 The Hagen Family Secret By K.M. Roberson This secret will change everything… After their parents abruptly move their family yet again, high school seniors and twin sisters Greer and Darcy Hagen are adjusting to their new lives in Plano, Texas. Slightly rebellious and highly perceptive, Darcy believes their parents are running away from something. When Darcy senses a strange connection to two mysterious and instantly popular new students, Lorcan and Kieran Smith, she convinces Greer, the quintessential good girl, to keep their arrival a secret from their parents. Reluctantly, Greer agrees, but when she begins to date all-around good guy Liam Alexander, she becomes the target of the beautiful and conniving Kieran, who wants him for herself. Things are further complicated when the devilishly charming Lorcan begins to show interest in Greer and the sisters uncover clues linking the Hagens and the Smiths in an unforeseeable way, unearthing a family secret Greer and Darcy’s parents had tried desperately to keep hidden. Hello, Billy Bluejay! 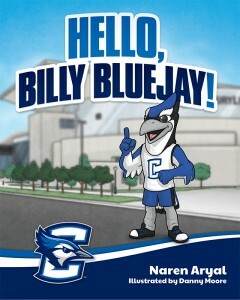 By Naren Aryal Follow Billy Bluejay around the campus of Creighton University as he makes his way to the big basketball game. Let’s Go, Xavier! 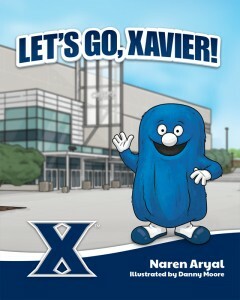 By Naren Aryal Follow the Blue Blob around the campus of Xavier University as he makes his way to the big basketball game. 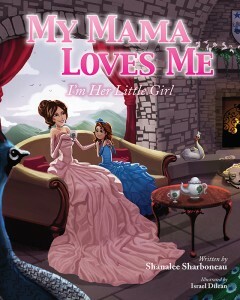 My Mama Loves Me: I’m Her Little Girl By Shanalee Sharboneau My mama shares with me. My mama cares for me. My mama teaches me to dream. My mama plays with me. My mama stays with me. My mama loves me all life long. 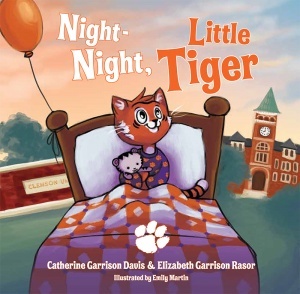 Night Night, Little Tiger By Catherine Garrison Davis and Elizabeth Garrison Rasor Reading bedtime stories to her two-year-old son, Catherine felt there was one missing from their collection – a bedtime story about Clemson. 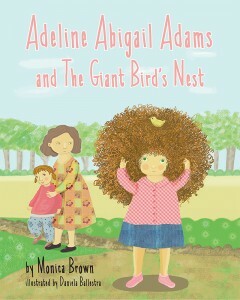 So she and her sister Elizabeth wrote this book. A fun book for children and grandchildren of Clemson alumni, students, faculty, and fans! We hope you and your Little Tigers enjoy reading Night-Night, Little Tiger and make many Clemson memories! 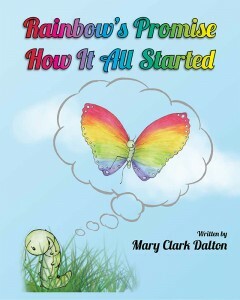 Rainbow’s Promise: How It All Started By Mary Clark Dalton Being the last caterpillar in his class to receive his wings causes poor Rainbow’s classmates to tease him. He dreams of being beautiful colors and flying with his friends. But his mom tells him to be patient and look for things that only a caterpillar can do. Follow Rainbow along on this adventure in Rainbow’s Promise. 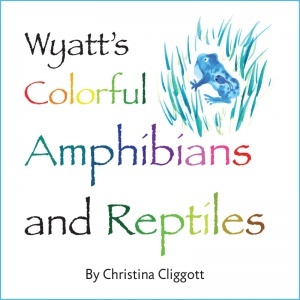 Wyatt’s Colorful Amphibians and Reptiles By Christina Cliggott Join Wyatt and discover the wonderful world of creatures that live just outside your door.